Jackson, Wyoming (Jackson Hole is the valley in which Jackson sits) is a town that has really embraced its history and has boomed as a town just outside of Grand Teton National Park. 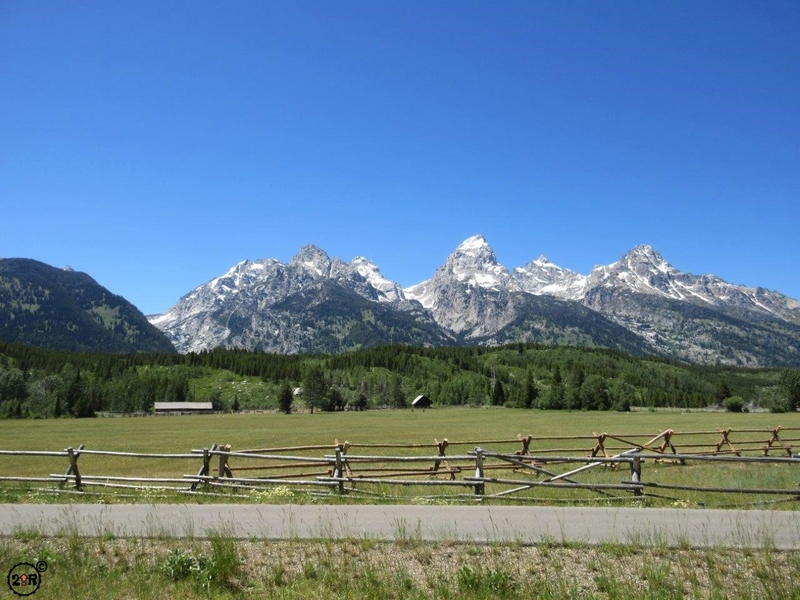 It seems the town is an extension of the rugged beauty of the Grand Tetons. The centerpiece of the town is the town square (George Washington Memorial Park), a nice park-like setting surrounded by buildings with a true western look. 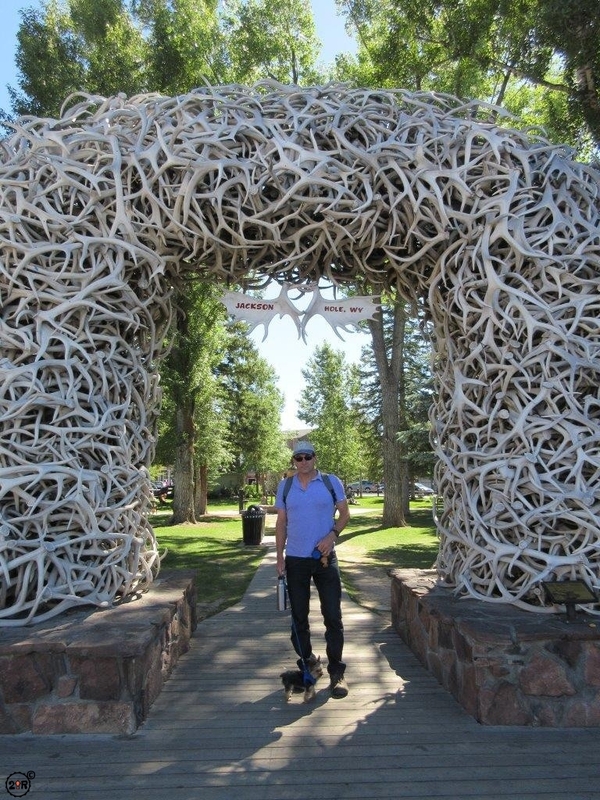 The square is also bracketed at each corner by huge arches of elk antlers. Not to worry though, no elk were harmed in the making of these arches. The elk shed their antlers every year. 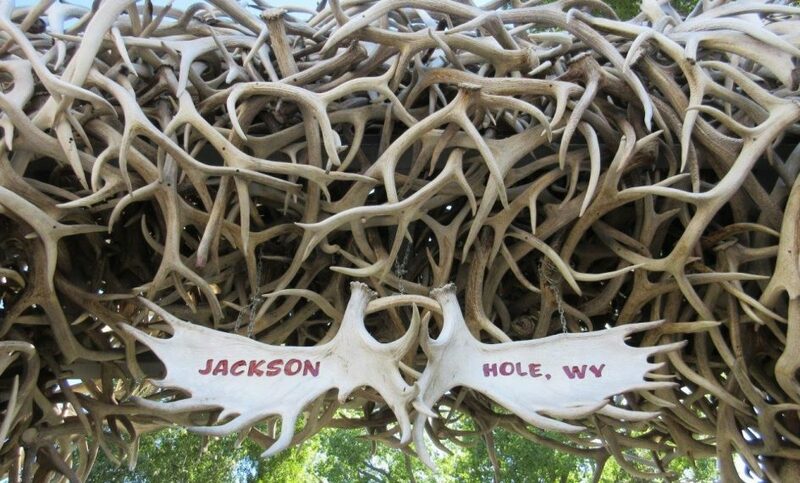 Since the 1950s, the Boy Scouts have collected the antlers to create the arches that we saw during our visit. 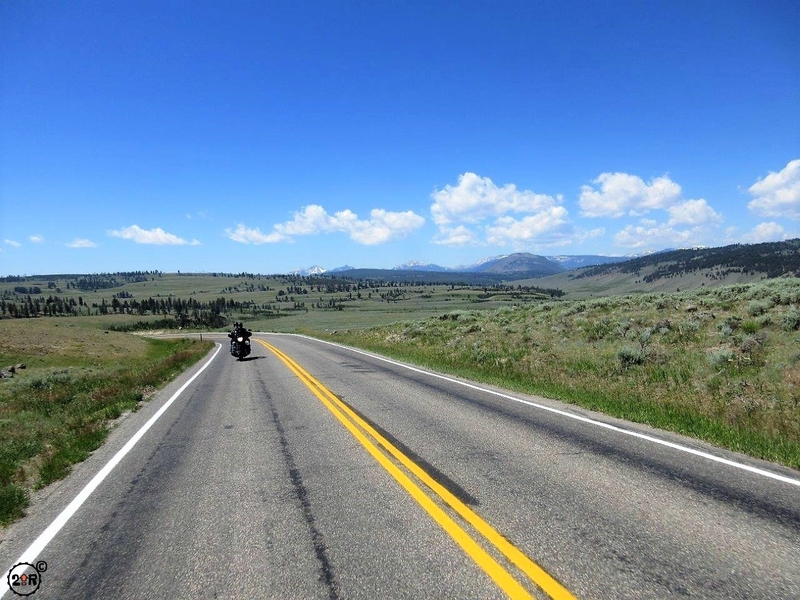 The antlers are collected from the nearby National Elk Refuge. Every few years, an arch is auctioned off during the Boy Scouts annual antler auction to raise money to create new arches. The antlers usually go for about $2 each so the starting bid (to account for cost to remove the arch) is usually around $15,000! It’s a chance for some lucky resident to have one of these beautiful arches at their home. 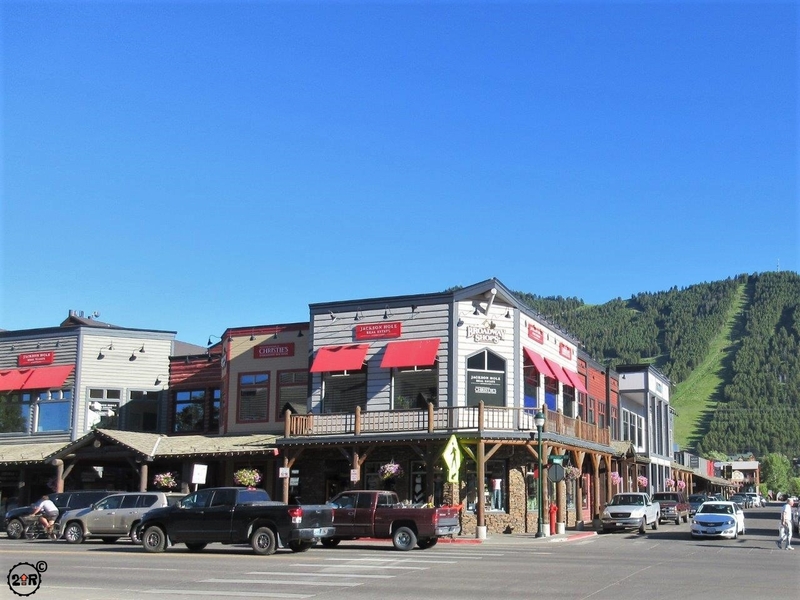 Jackson was founded in the 1800s by trappers during the beaver pelt craze that was partly responsible for the settlement of the West (gold was a big deal too…). 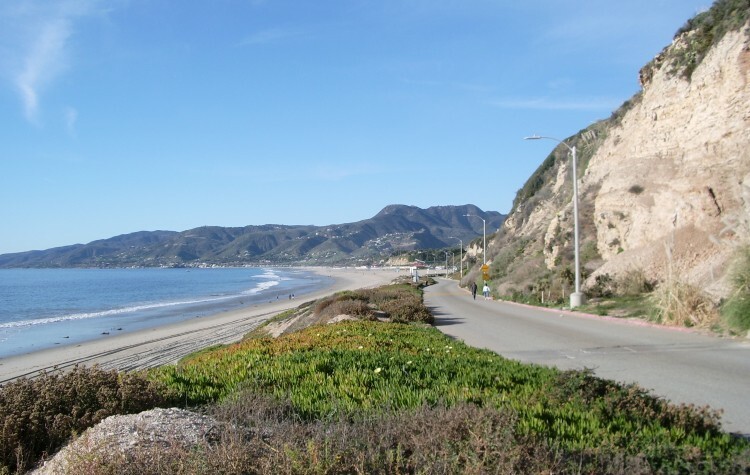 Later, the area became very popular for ranching as well as dude ranches, where city slickers could pay a hefty sum to live like a rancher for a week or two. 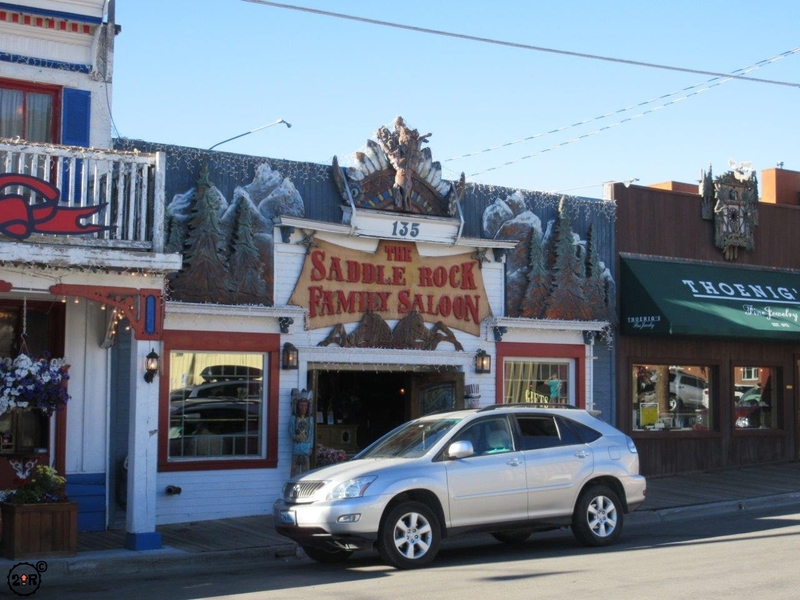 Now, there are still ranches and dude ranches, but the trapping industry has long since died off (thankfully) and now the town is replete with hotels, restaurants, bars (like the Million Dollar Cowboy), and of course souvenir and trinket shops. 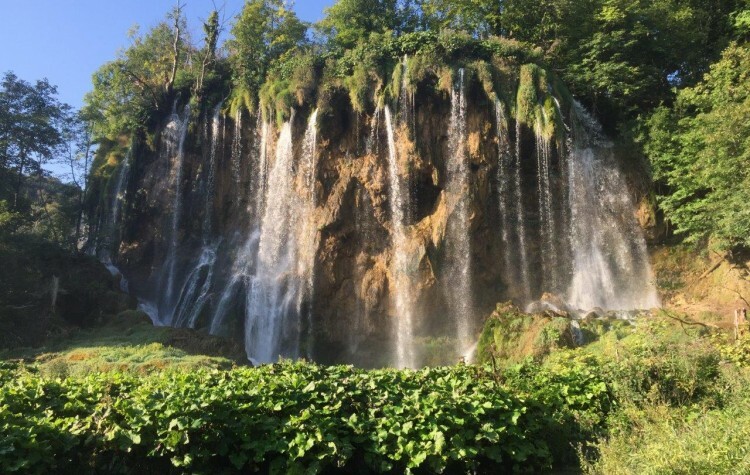 The main attraction of Jackson remains the rugged outdoor adventures still available in all directions from the town. 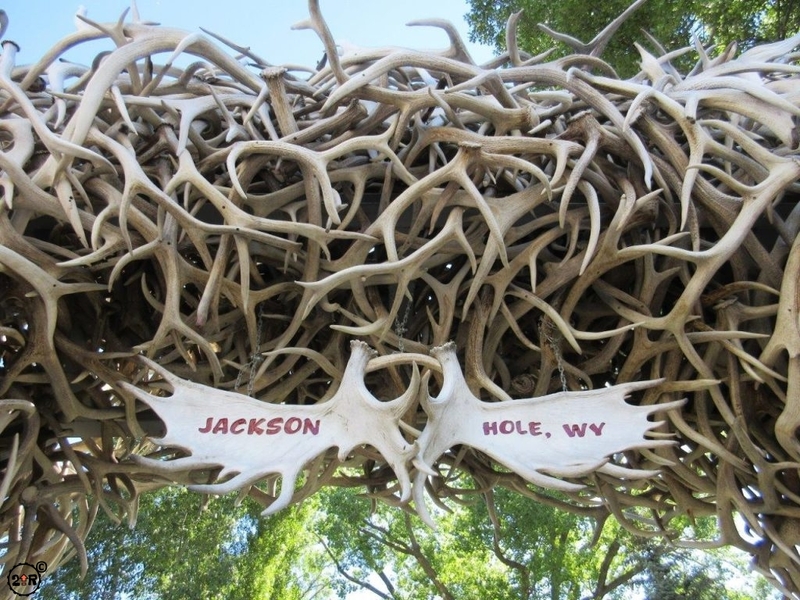 Jackson is a great town to visit for a day, peruse the shops, have a bite to eat, learn about the history and check out the antler arches. There’s nothing like a day in Jackson after spending a good hard day in the wilderness.